Of course the talk of the town this morning is the Tesla 3. 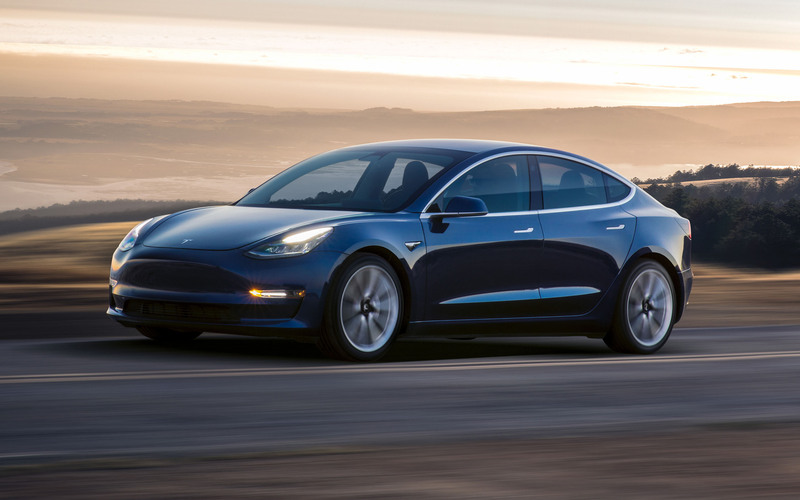 The first 30 production models have been delivered to customers in a production hosted by Elon Musk at the company’s HQ in Fremont, California. There will be two models. A Long Range model that will go 310 miles on a charge, thanks to a larger battery, and start at $44,000. A “Standard”, or short range model, will sell for $35,000 and have a range of 220 miles. Those hoping for the less expensive model will have to wait until fall as Tesla will initially only produce the Long Range model. Both are rear wheel drive. Go for the top of the line with all options flying, the Detroit News reports, and look for a sticker of $59,200. How will it sell? The company is said to have almost 500,000 orders and many are wondering how Tesla will be able to add the Model 3 to its production schedule along with the Model X and the Model S. The first 30 were reportedly turned over to Tesla staff with customer deliveries coming by the end of 2017. A select group got the chance to take a very short drive in a Model 3 and most praised its acceleration and handling. 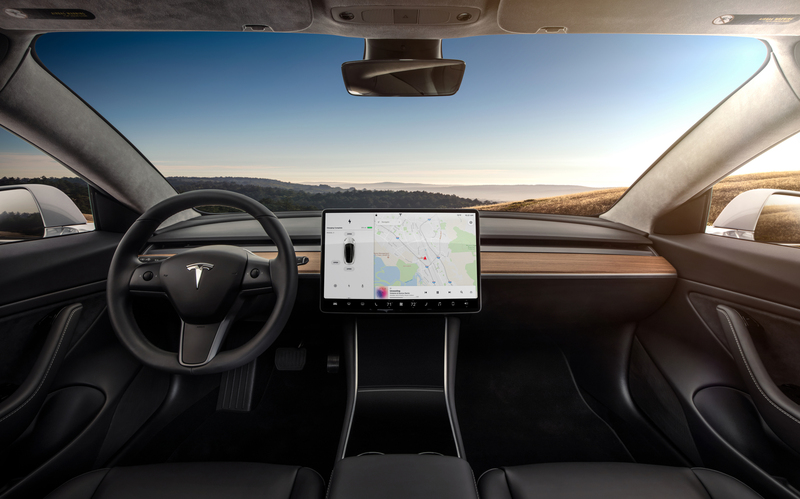 The interior is quite plain with everything, and I do mean everything, centered on a 15-inch tablet in the center dash with some controls such as outside mirror adjustment, on the steering wheel. There is no instrument panel in front of the operator and a head up display is not in the works. To enter the vehicle one must download an app from Tesla on to your smart phone. Bye-bye key fob. This could be a challenge if your Model 3 is covered by winter time ice. Also if the screen goes down, how do you figure out how fast you are going? This is rather important if you live in an area that has purchased a few hundred fine inducing speed cameras. USA Today said Tesla “just needs to, as promised, make 499,999 more a year to the same standards” as those at the show. It praised the fit and finish on the early product. Fiat Chrysler has received a certificate of conformity from the Environmental Protection Agency and a conditional executive order from the California Air Resources Board permitting the production and sale of FCA US 2017 model-year light-duty Ram 1500 and Jeep Grand Cherokee vehicles equipped with 3.0-liter diesel engines. Updates include modified emissions software calibrations, with no required hardware changes, and FCA expects that the modifications will have no effect on the stated fuel economy or the performance of these vehicles. Due to storm related frequent internet outages, (maddening), the weekly Road Test report will resume on August 5. If current plans hold, I will have a nice surprise for you. The new Ram pickup will make its debut at the Detroit Auto Show in January and will go on sale shortly after the covers come off. Good source on this one – Fiat Chrysler CEO Sergio Marchionne. The EPA and the California Air Resources Board has approved a fix for Volkswagen diesels that have emissions cheating software. EPA said VW will remove the controversial software and replace it with software that directs the emission controls to function properly in all typical vehicle operations. The fix will cover about 326,000 vehicles with the 2.0- liter diesel. Auto News for July 27 – We Like Our New Cars! There is a J.D. Power survey that measures new car owners’ emotional attachment and level of excitement across 77 attributes. They range from the power they feel when they step on the gas to the sense of comfort and luxury they feel when climbing into the driver’s seat. 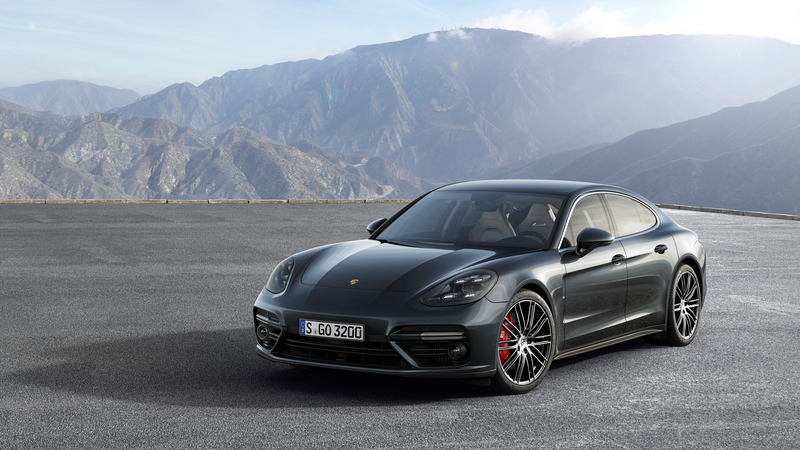 This time around Porsche topped the survey for the 13th consecutive year. Genesis ranked second followed by BMW, Audi and Mercedes-Benz. Chrysler was the most improved brand, with strong improvements from Mini, Nissan and Honda, Power said. Overall, consumers are finding their new rides more appealing than ever, the survey concluded. This headline is not good news – “Auto Sales Expected to Take the Biggest Hit of the Year in July,” predicts Edmunds.Com. It said new vehicle sales are expected to be 3.1 percent lower than last month, and 6.2 percent lower when compared to July of 2016. “July is historically a strong month, but with disappointing sales and inventories still building, something needs to give,” said Jessica Caldwell, Edmunds executive director of industry analysis. “A lot is riding on late-summer sales events to help move vehicles before 2018 models start arriving at dealer lots.” It predicts GM, Toyota and Ford will see the largest setbacks. A forecast from Kelley Blue Book echoed the figures from Power. At $2.28, the national gas price is three cents more than a week ago, which is the largest seven-day increase since before Memorial Day, said AAA. Second quarter profit rose 16 percent and adjusted earnings exceed market expectations at Fiat Chrysler. It was sparked by SUV demand including the new Maserati Levante. In fact, Maserati reported earnings that more than quadrupled over the past year. FCA said gains overseas helped offset lower demand here in the U.S.
Quarterly earnings rose at Volkswagen but there was a 13 percent drop in quarter profit at Nissan. Quarterly net profit fell 51 percent year over year at Hyundai as sales sagged in China and here in the U.S. with key figures falling well below analyst expectations. In the first half of this year, Hyundai’s U.S. sales are off 7.4 percent. Ford’s second quarter earnings should catch the attention of Wall Street today and in a positive fashion. The automaker topped earnings expectations and posted higher revenue than forecast. It cited the strong demand for its F-150 trucks and good performance from its financial operation. The truck line, long the nation’s best-selling vehicle, had its greatest second quarter sales performance since 2001. Ford also raised its full year financial forecast. Ford also announced that the starting price for the 2018 Mustang will be $26,485 for the base model, a four cylinder with a stick shift. That is $610 less than the current EcoBoost model. Pricing for the GT coupe increases to $35,995, a $1,900 price boost. One man. One mower. Rodney Smith Jr. who owns a lawn care firm, wrapped up his 50 States, 50 Lawns tour, during which he mowed a lawn in every state to raise awareness for his organization that provides free lawn care service to the elderly, disabled, single mothers and veterans. Briggs & Stratton made a financial donation and provided equipment to ensure he had the resources needed to complete his one-man mission. His story was told in dozens of media outlets, ranging from People Magazine to the Milwaukee Journal Sentinel. 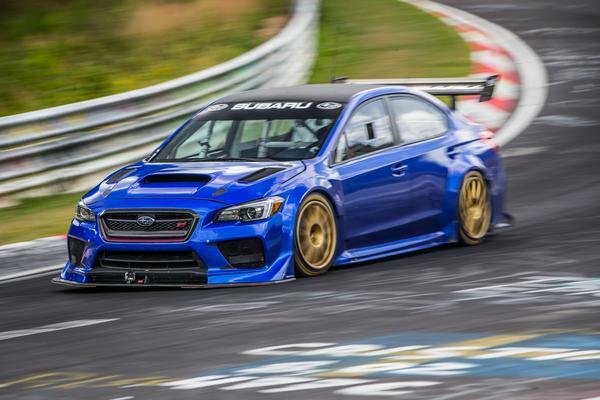 A specially prepared Subaru WRX STI has set a new lap record for a four door sedan at the Nurburgring in Germany of 6 minutes, 57.5 seconds. The WRX STI Type RA NBR Special is a custom built race car built by Prodrive using a stock 2017 WRX STI with a full roll cage welded into the standard unibody for added strength and stiffness. It has a modified 2.0-liter boxer motor and uses a 75-mm intake, and the turbo runs at 25 psi of boost. This produces more than 600 horsepower at 8,500 rpm. Auto News for July 25 – Redesigned Wrangler in November! Ford is the latest to consider phasing out cars that are not selling briskly in light of the continuing demand for SUV’s and crossovers, the Detroit News reports this morning. It said Ford may cease production of the Taurus by the end of next year, the Fiesta by the end of 2018 or 2019, and the C-Max is likely to be sent out to pasture by early 2019. The newspaper cited an unidentified source. GM reported this morning that second quarter income fell 42 percent compared to year earlier mainly due to a big loss from discontinued European operations related to its sale of Opel. But take out one-time items, and GM earnings came to $1.89 a share and that topped analyst estimates. “Disciplined and relentless focus on improving our business performance led to a strong quarter and very solid first half of the year. We will continue transforming GM to capitalize on growth opportunities and deliver even more value for our shareholders,” said Chairman and CEO Mary Barra. The automaker said crossover sales are the best in GM history. In pre-market trading this morning, GM shares fell just over a half percent. Ford is scheduled to report its second quarter results before the market opens on Wednesday. 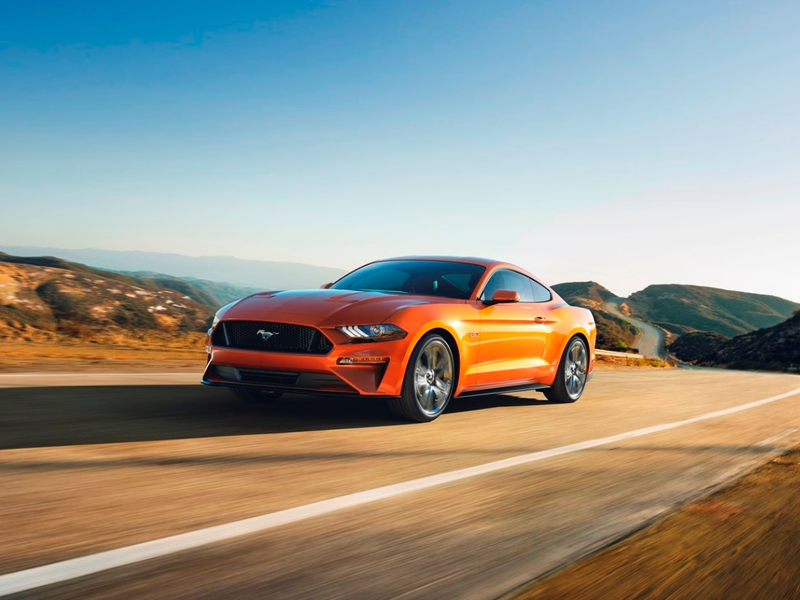 The 2018 Mustang GT in Drag Strip mode can reach 60 mph in under four seconds and that makes it the fastest Mustang GT ever, the automaker announced. A redesigned 5.0-liter V8 with the also new 10-speed transmission gets a power boost to 460 horsepower and 420 lb-ft of torque. That compares to 435/400 in the current model. Drag Strip mode optimizes torque, transmission and newly available custom-designed Michelin Pilot Sport 4 S tires to deliver maximum acceleration and performance in straight-line driving. The EcoBoost four gets a 30 lb-ft gain in torque that will send it to 60 in under five seconds, again in Drag Strip Mode. If one does not sell a product, why make it? GM is reportedly considering dropping six car models believing that the strong demand for crossovers and related vehicles will continue for several years down the road. Reuters has the report citing unnamed sources. Potentially on the chopping block due to slow sales are the Chevrolet Sonic, Impala, and Volt, along with two Cadillacs, the XTS and the CT6, and the Buick Lacrosse. Production of some of these models has been slowed to bring inventory in line with current demand. If any of the brands are axed, they would be replaced by crossovers and SUVs. GM officials have refused comment on the story. Wow! Imagine Chevy without an Impala! 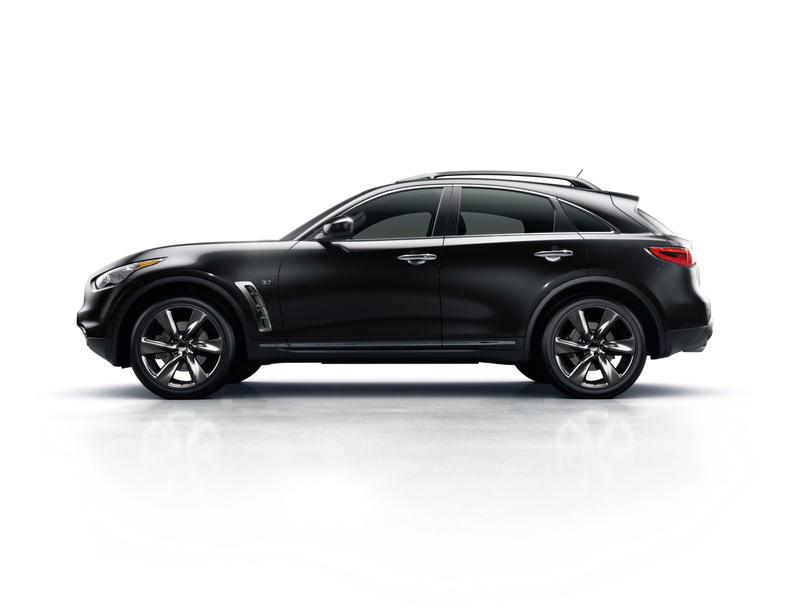 Infiniti has confirmed to Automotive News that this will be the last year the QX70 will be offered. But like blockbuster Broadway productions it may not be gone forever. Automotive News said Infiniti is working on a redesigned QX that could show up in 2021 or 2022. Didn’t want you to miss the fact that this is “National Drive-Thru Day” celebrating restaurants that serve customers on the go. The first is believed to have been at Red’s Giant Hamburg in Springfield Missouri and you will not believe the debut date! 1947! Although, this was more of a “car hop” as it was known then rather than the station to station way we pick up food today. Back then servers, many times on roller skates, brought food to the customer in a parking lot and placed a tray on car’s side window. This was not the ideal solution when it was raining. 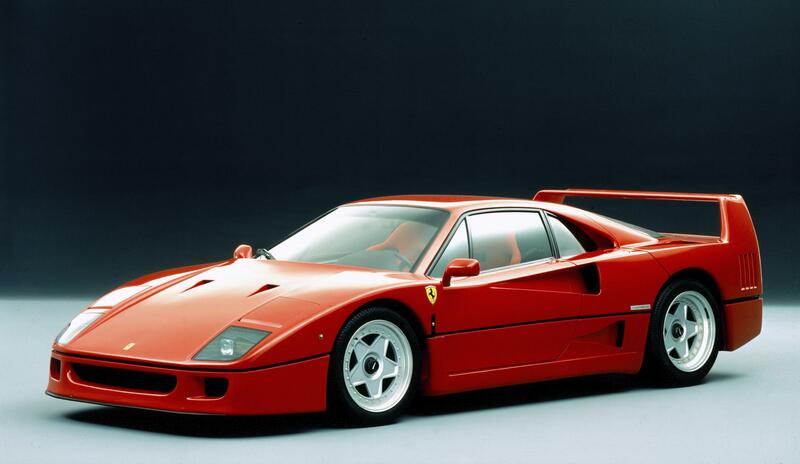 Ferrari is celebrating the 30th anniversary of the introduction of the F40 back on July 21, 1987 at the Civic Center in Maranello, now home to the Ferrari Museum. It carried an 8-cylinder twin-turbo rated at 478 horsepower and was the first production Ferrari with a top speed of almost 204 miles per hour. “We obtained precisely the car we wanted, with few comforts and no compromises. With no power steering, power brakes or electronic devices, it demands the skill and commitment of the driver but generously repays it with a unique driving experience. Steering precision, road holding, braking power and intensity of acceleration reached unmatched levels for a road car,” said Dario Benuzzi, Ferrari’s long-term test driver.